A lot of businesses are still shunting social media. They see it as something that is fraught with dangers. They worry about trolls, they worry that they will portray a poor image, they worry that they cannot put across a proper business profile. However, the reality is that they’re missing out on a huge marketing, advertising and customer service potential. Your business needs to be involved in social media if you want to make it in the cutthroat world of businesses. Let’s take a look at why social media is so important and why you should use it as much as possible. Statistics don’t lie, as they say. Currently, 18% of all time spent online is spent on social media sites. However, these are the figures for last year, and it is believed that the figures for this year are going to be a lot higher. It is important to move away from the idea that social media is nothing but chatting with friends. 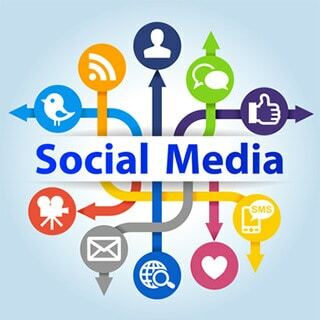 Businesses and government agencies use social media. It is a way to connect and to send messages out into the online world, quickly allowing them to become viral. Using social media will allow you to reach a huge range of new customers. Consider, for a minute, that there are currently one billion active Facebook accounts. That is one billion potential customers! You simply cannot miss out on the opportunity to connect with even a fraction of them. Besides this, it is also a fantastic customer service tool. You can connect with your customers, allowing them to ask you questions or to comment on any events or products you have listed. You can use social media to get feedback and to run promotions. For instance, you can ask customers to like and share certain postings, and enter them into a competition in return. It is important to offer this opportunity. Customers don’t want to phone you (particularly since there may be issues with different time zones, and because a telephone call is often expensive). They also usually don’t want to online chat with you, as this means focusing on a popup window and waiting for you to reply. Time is money for your customers as much as you. What they want to do is leave a comment, know that you will respond to it and converse in that manner, making it possible for them to have conversations with you in their own time. Social media allows this, since your customers will receive a notification as soon as you reply to them. Do make sure you do actually reply to them, however! Using social media is a type of targeted marketing as well. Because you can look up Facebook demographics, you can make sure that you send advertisements only to those people that actually matter. It is quite similar to Google AdSense, but most would say it is more targeted, and certainly more beneficial since people actually pay attention to Facebook advertising. Also, it isn’t just about the paid for advertising. Making Facebook posts or sending out Tweets only costs time, not any physical money. It is believed that there will soon be no difference between eCommerce and social media again. In fact, there are already numerous options of making a purchase straight through social media sites, particularly thanks to Facebook stores. It is likely that your own website or store will soon move into that direction, and you may as well start building awareness of and trust in your brand until that day has arrived. SEO – Search Engine Optimization – is, for many, the be all and end all of the internet. Getting your SEO right means getting more customers. It means being more visible online and making it easier for others to find you. SEO services, for many, is also incredibly complicated. However, one of the easiest ways to increase your page rankings is by using social media tools. Google loves social media mentions and they have constant spiderbots on Facebook, Twitter, YouTube and other sites. Simply by using social media, you will massively increase traffic to your site. Indeed, when you consider searching, a lot of people no longer use the main search engines. They use the Facebook or Twitter search box for company names, or they even use hash tag mentions. You have to make sure that those searches relate to you and that those people who are looking for you in that manner will actually come across you.